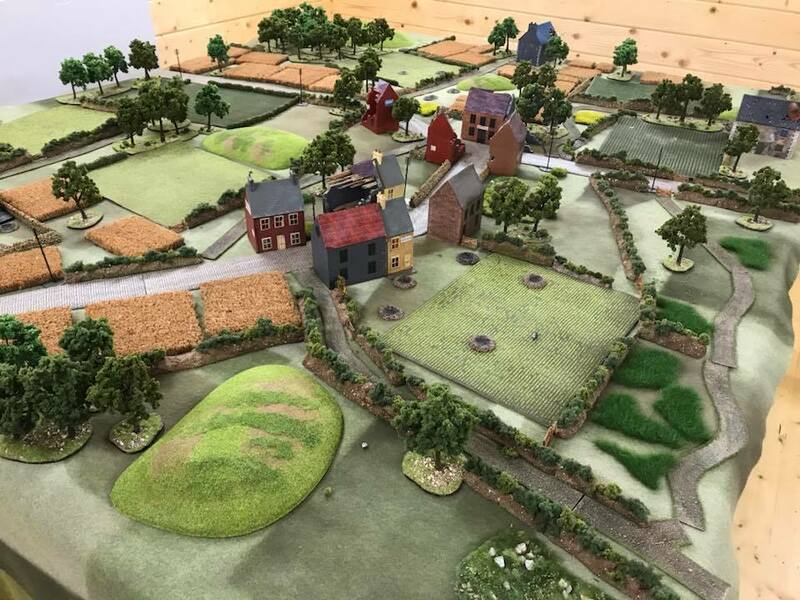 Played a training game tonight with Mr T.
Forces were from the main rules, but the terrain made up from parts of my last game. 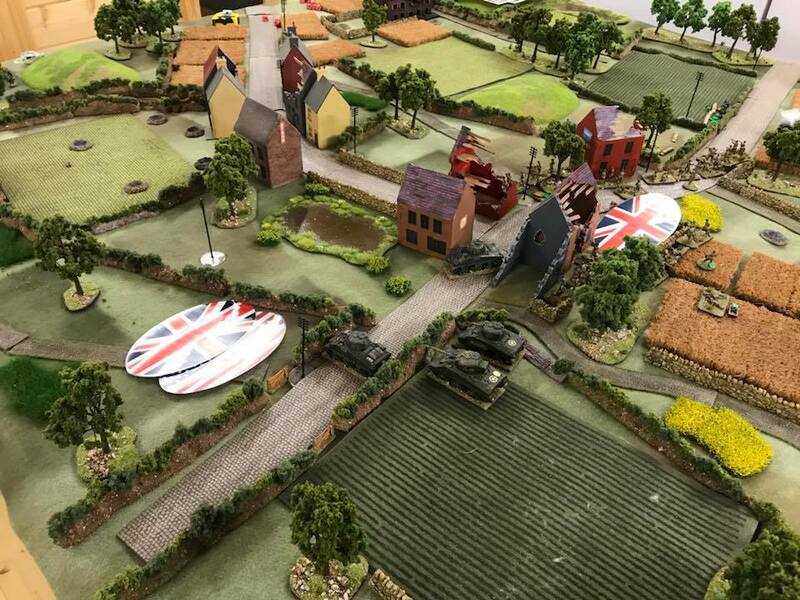 Mr T was the British, attacking to liberate the village and eliminate any defenders on the way. Ultimately his armour was to use the main road to move off table. Nice little game that saw some quite amazing sequences of cards come up for the British. 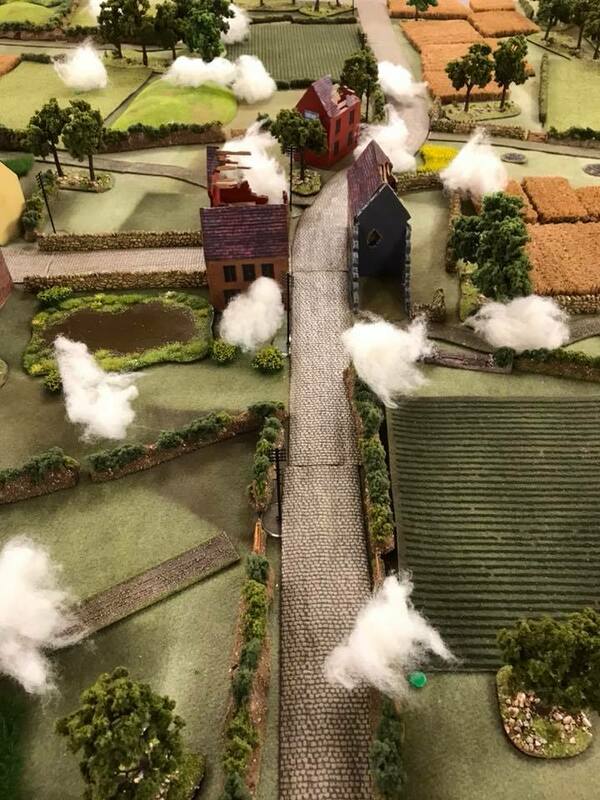 I lost the village and in the end redeployed north in the hope of delaying the Allies, only to lose another platoon , leaving my flank up in the air. We are fighting this again in a week, swapping sides. Highlight was the pre game stonks that put six shock on two of my infantry Blinds, six on my tank killer team and killed my FOO! View of the table. This is the view from the German side. 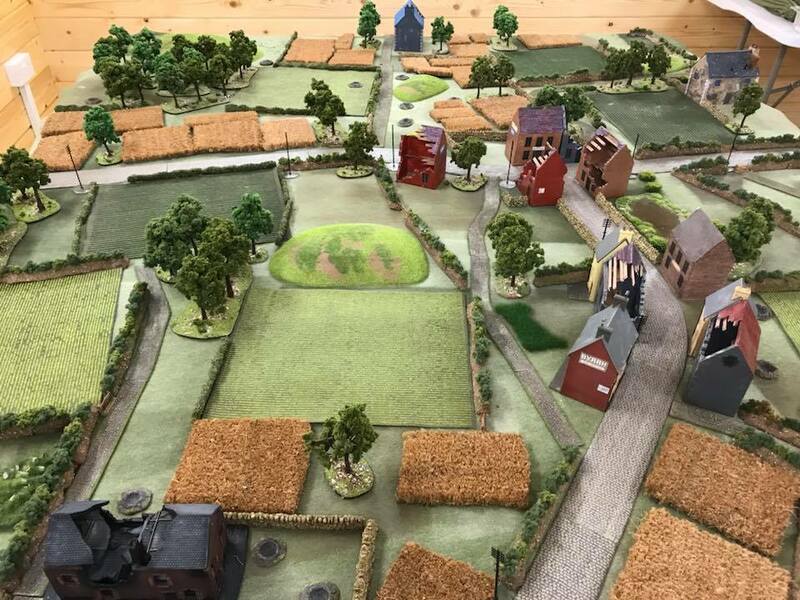 A platoon was on the right side if the village, another to the left. One was pushed forward to act as a delaying force. The AT gun was sighted in the southern edge of the village. The German side. One platoon was just behind the hillock in the centre of the pic. 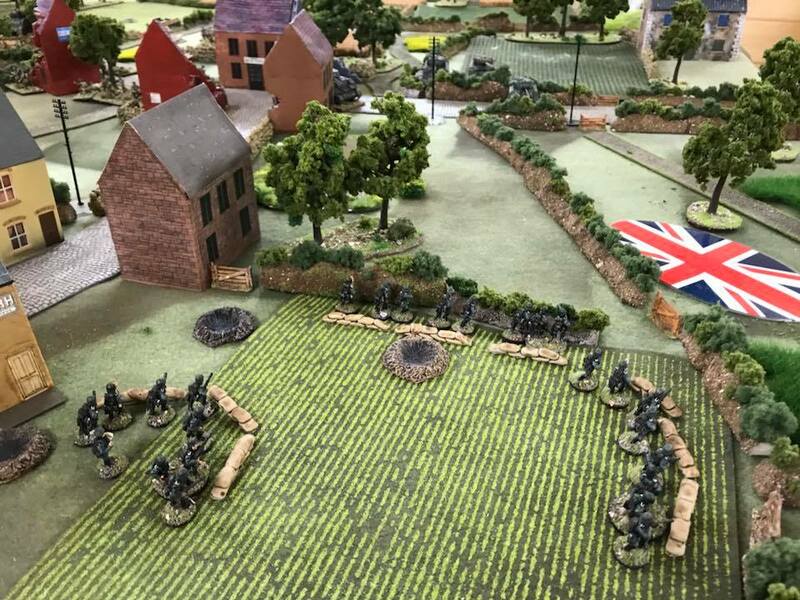 The platoon to delay the assault was further up, along the hedgerow. Pre game stonk. Four areas hit, all caused havoc and killed my FOO. Left flank armour is spotted. My delaying tactic was working. 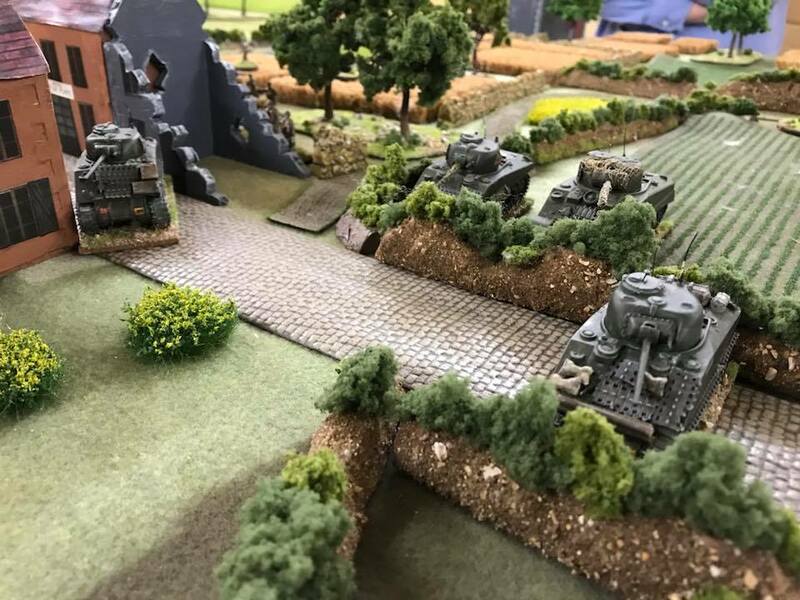 Second Platoon wiped out my tank killers (who had got six shock from a stonk) and are about to try to take part of the village. My delaying platoon collapses and runs. It had only two Gruppe, Big Man killed from AFV MG fire, and was shocked to bits by 2” mortar fire and multiple AFV hits. 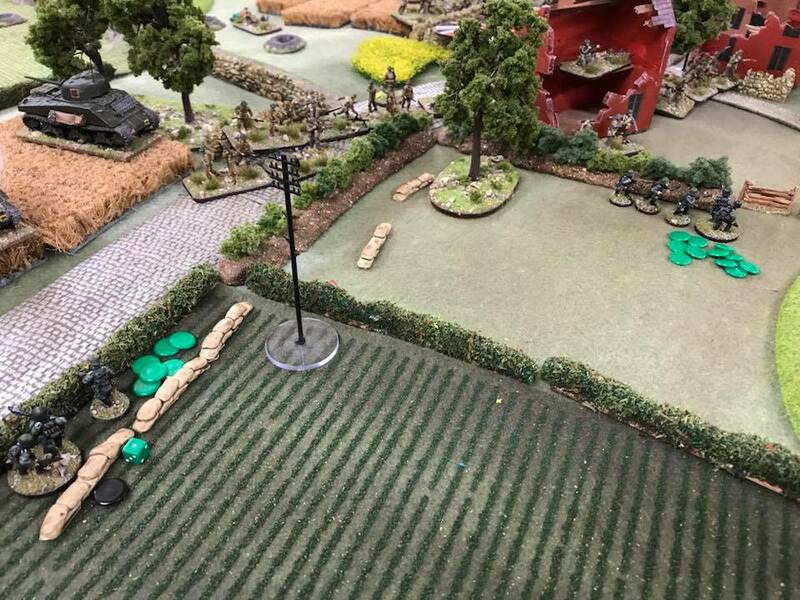 The close assault did for my men, who could not rally without a Big Man. On this occasion, the cards did fall perfectly for the Brits. Second troop of armour is spotted and waits for German armour (that never came). The flank attack is about to bear fruit. Those two Blinds moved up and exposed two Blinds I had in the hedges. The armour then HE'd my boys and it all started to go pear-shaped. "Oh, look: Jerry in slit trenches. Fire everything, Binky!" At the end. Bottom left my second platoon is bugging out. To the top left, the 1st platoon has disintegrated and left for Brussels. 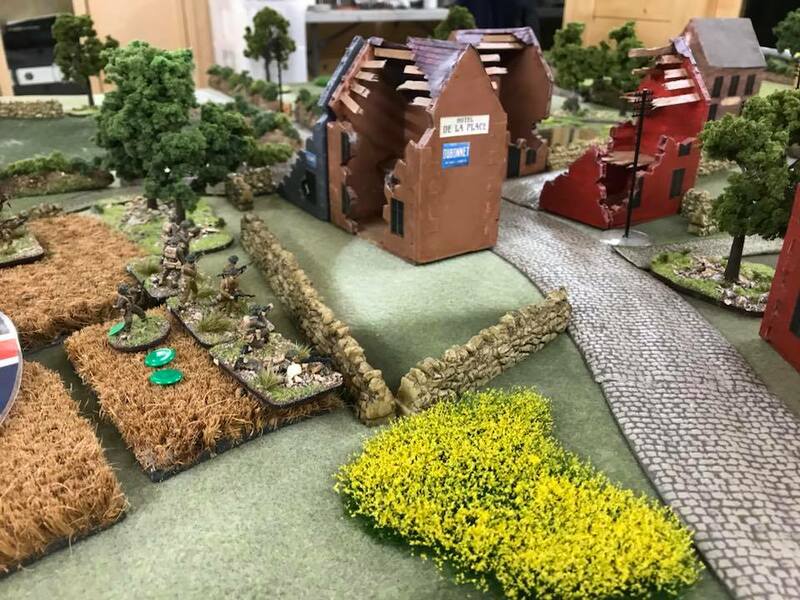 Third platoon is holding the cornfields and falling back towards the farm. Jerry got a damn good thrashing!